The goal of the team is to replace/ augment costly and time intensive empirical data base with microstructure sensitive, mechanism-based material models. As characterization is key to model development, an aggressive materials characterization program in place at OSU with the latest state of the art equipment. This is coupled with phenomelogical modeling as well as modeling at the continuum scale. 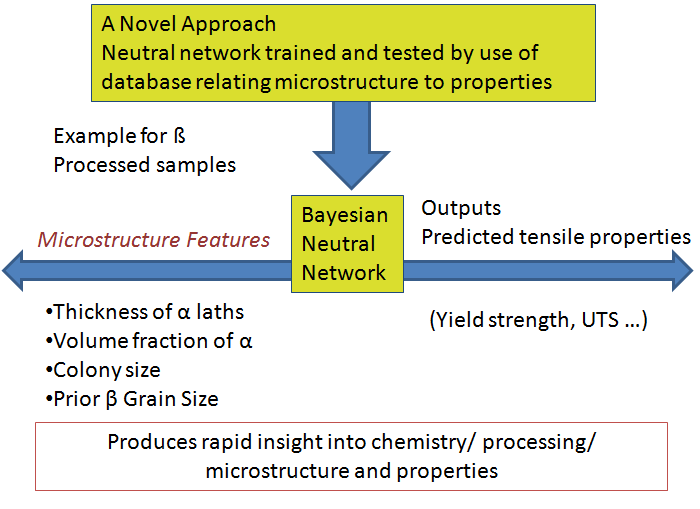 Rules based approaches with neutral network methods produce a rapid insight into chemistry / processing microstructures projects. This world class research is done in collaboration with industry and the US agencies.